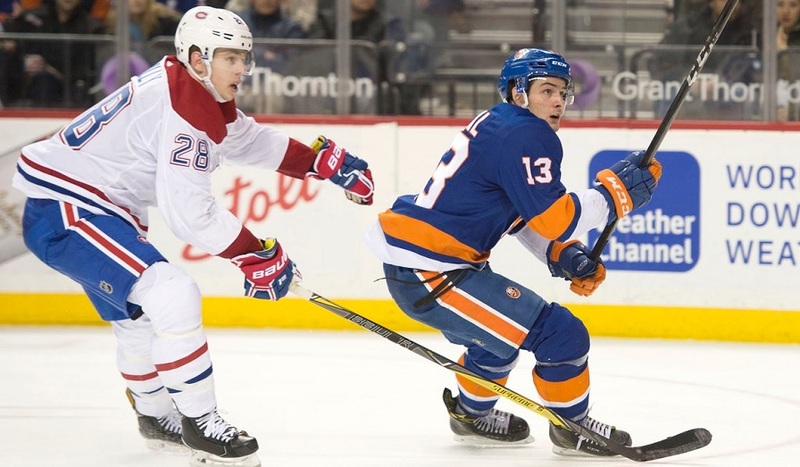 In a game where they created a plethora of chances after digging themselves an early hole, the Habs were fortunate to walk away from their opener in this New York double-header with a 4-3 shootout win against the surprising Islanders. 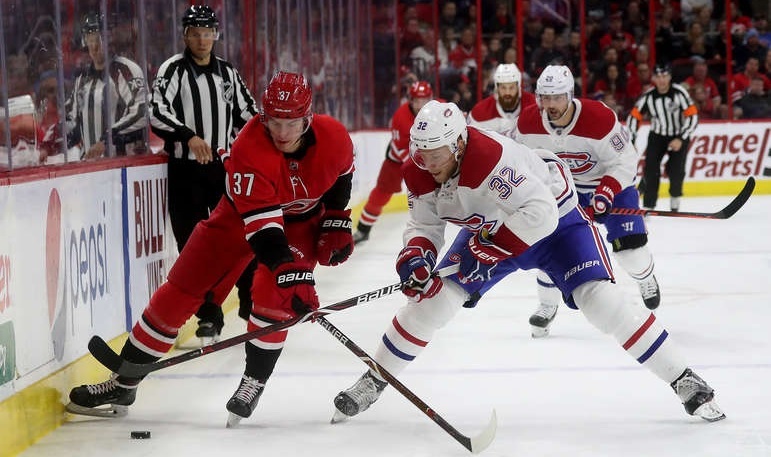 This first road contest in a November filled with numerous challenges away from the Bell Centre saw coach Julien ice the same lineup as Saturday against the Lightning as Karl Alzner remained the only healthy scratch. The goaltending matchup included Thomas Greiss facing Antti Niemi as Carey Price will face the Rangers on Tuesday. After a solid first shift by the Phillip Danault line, the Islanders were able to dump the puck into the Montreal territory where Jordie Benn made a soft backhand pass behind his net that was intercepted. This placed Jeff Petry in a vulnerable position where he earned himself a two-minute penalty for hooking. Strong plays by Noah Juulsen, Andrew Shaw, and Nicolas Deslauriers allowed the Canadiens to kill the penalty. A few moments later, a point shot by Adam Pelech was mishandled by Niemi who gave up a high rebound that Casey Cizikas batted home. With the puck in the air in the slot, someone should have removed Cizikas from the front of the net, but both Joel Armia and Jesperi Kotkaniemi stood in the slot trying to get the puck. The Islanders’ early lead would be short-lived as less than two minutes later, a strong break-out by Mike Reilly and Juulsen allowed Max Domi and Jonathan Drouin to isolate Ryan Pulock and leave Drouin streaking toward Greiss and score with a low glove-side shot. With 12:19 to play, a well-timed pinch by Benn (he had defensive numbers justifying the pinch) paired with an unfortunate bounce for Gallagher left the Islanders with a 2-on-1. Jeff Petry laid out close to his net, but he wasn’t close enough as Leo Komarov got around him and passed to Valtteri Filppula for a 2-1 Islanders lead. This second goal stunned the Habs as the passes became sloppy and the play was mostly in their defensive zone as a result. Niemi did his best to keep the game within reach, but the Islanders would finally score a third with five minutes to play when Cizikas attempted a low percentage pass through the Montreal zone that was blocked by Benn. Now Benn had a rough first period, but he also had terrible luck the few times he made the right decision in this period. The blocked pass hit him and returned to Cizikas’ stick who immediately fired on net and surprised an off-balance Niemi for the two-goal lead. With a little over a minute remaining, Brendan Gallagher would send the Habs to a second penalty kill. The Habs started the second period by killing the second half to the Gallagher penalty. They did so without allowing a shot and they really gained momentum by doing so. For the better part of the first half of the period, the Habs controlled the puck in all three zones. This created momentum as the Islanders were suddenly the team not completing passes and allowing large gaps in their defensive coverage. Despite the Habs controlling play for the first half of the period, the best save of the sequence came when Niemi was forced to come across and stop Mathew Barzal with a nice pad save on a cross-zone pass that reached the young sophomore. The teams exchanged scoring chances near the midway point in the period when Kotkaniemi missed his own rebound while falling yet facing an empty net. The puck immediately went the other way where Niemi was faced with an Anthony Beauvilier breakaway that he stopped. A few moments later, Thomas Hickey played recklessly with his stick and tripped Tomas Tatar for the first Habs power play on the night. The woeful 26th-ranked power play was just that for the Habs as the unit continued to struggle to even create scoring chances. The Islanders quickly gave the Habs a second chance when Kotkaniemi was tripped deep in the offensive zone by Mayfield. This time, the man advantage would finally break the drought as Gallagher was screening Greiss and Domi was given far too much time to shoot. He did and put the puck through Gallagher and Greiss for his eighth of the season. After a dangerous looking shift by the Finnish line, Danault was tripped for yet another power play for Montreal. Domi and Drouin once again controlled the man advantage and Petry sent a cannon of a shot off the iron to almost tie the game. Charles Hudon was called for high-sticking with 30 seconds to go in the period, but the Habs would escape the start of the power play unscathed so the Islanders remained ahead by one heading to the third. The third period started with some disciplined defensive play that allowed Montreal to kill the penalty. The Habs then quickly gave the tone to the period as Drouin broke down the wing with speed and rang a shot off the post. Tatar was quick to follow suit, but his shot was easily stopped by Greiss. As the Habs continued to completely dominate the action, both Artturi Lehkonen and Drouin missed golden opportunities to tie the game as Drouin really shot quite wide on a play where he was given a wide-open net after a spectacular pass by Victor Mete. With seven minutes expired in the period, a strong forecheck by Armia and Kotkaniemi meant puck retrieval for the Habs. The puck found its way to Juulsen who opted for the point shot that was deflected by Lehkonen to finally tie the game. Montreal continued to dominate as Greiss had to keep his team in the game with big stops against Tatar and Hudon notably. The Islanders would finally get their legs going for the final six minutes of the game as they started winning some puck races and forced the Canadiens to play in their zone a bit. 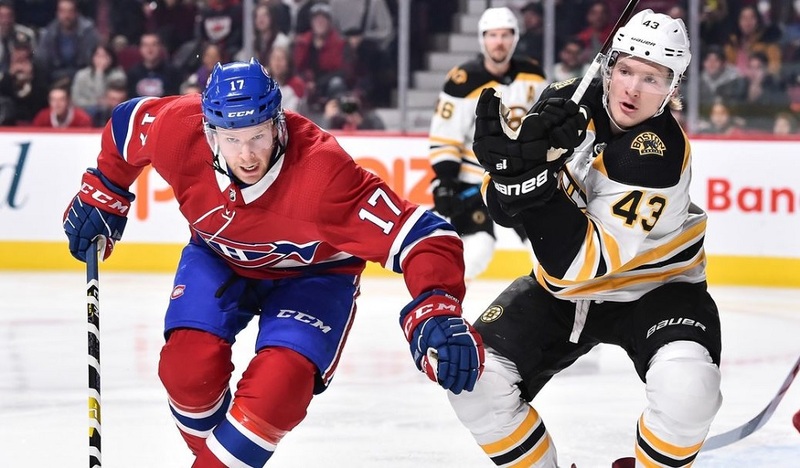 However, neither team was able to get a goal and this game was headed to overtime although the Habs got caught with too many men on the ice with seconds remaining. The overtime would see the Islanders power play continue for 1:34 but the Islanders never really threatened Niemi’s net. The three and a half minutes that remained were mostly played at 4-on-4 with the Habs dizzying the Islanders as they created chance after chance that they just weren’t able to finish, sending it to a shootout. Niemi stopped five Islander shooters before Armia finally scored to end the game with a solid shot low to the glove side. The October winner of the Molson Cup continues to impress in November. Relentless puck-hounding, smart plays with the puck and good decisions are quickly making him a fan favourite. Not only is he an incredibly entertaining player to watch, but he’s also making all players around him better, and there isn’t much more a team can ask from their pivot, especially not a 23-year old playing the position full-time for the first time in years. Stats: 1 goal, 1 assist, +1, 1 shot, 19:55 T.O.I. If Juulsen looked every bit a rookie against the Lightning, he was much better in this one. His positioning was on point, as was his physical play and his decisions with the puck. This started with a strong first shift killing a penalty, and obviously, it ended with his second assist of the night on the tying goal. Stats: 2 assists, +1, 1 shot, 5 hits, 19:03 T.O.I. Drouin remains the most skillful player on this team and when he decides to turn on his effort, he appears unstoppable. Luckily for him, Domi is on his line and his never-quit mentality appears hard for Drouin not to imitate. Stats: 1 goal, 1 assist, +1, 6 shots, 20:16 T.O.I. For all the games that Kotkaniemi was forechecking and creating chances for Armia, the roles were reversed this time as Armia committed to many strong forechecks that allowed him to create great scoring chances for Kotkaniemi. Unfortunately, Kotkaniemi just wasn’t able to finish the plays, so both end the night with statistics that don’t reflect their overall play. Stats: 1 assist , 0 (+/-), 3 shots, 1 hit, 16:05 T.O.I.